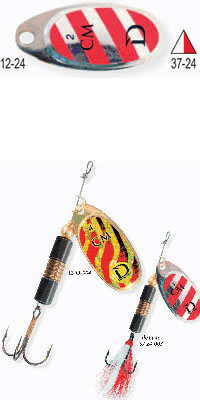 These spinning lures are designed with oval blades and thanks to a precise weight distribution (on the brass body), the blades rotate even when retrieved slowly. Upon retrieval the blade will immediately begin to rotate, excellent especially when you fish upstream. 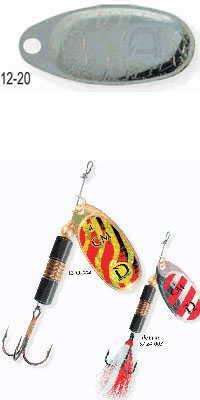 Lure size is important. 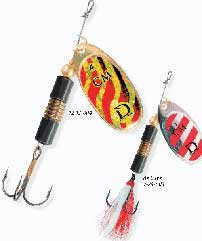 The rule of thumb is use smaller lures to catch smaller fish and larger lures to catch larger fish. Keep in mind plain spinners present a smaller profile than dressed spinners, so they will appear smaller to the fish. To view a bigger variety of Spinning Lures click here! 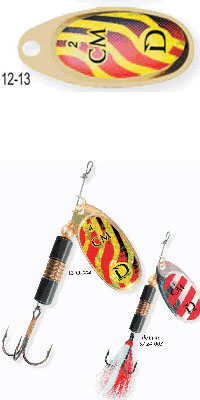 To read a Spin Fishing Article click here! 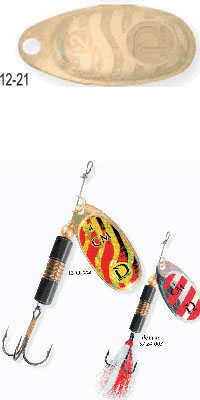 To buy CM Classic spinning lures click here!